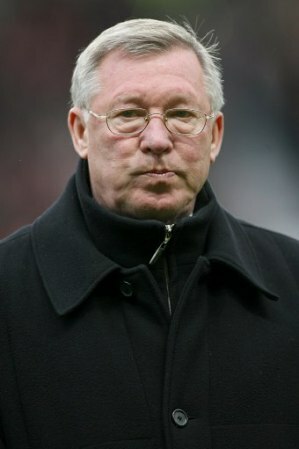 Sir Alex Ferguson has followed up his media ban from the weekend by refusing to talk to his wife. The Manchester United boss hasn’t spoken to the BBC in several years after they reported on his son’s dealings as an agent, and after the Red Devils 3-1 defeat to Liverpool this weekend he also refused to speak to any other media outlets, presumably whilst turning crimson and grunting under his breath. Upon his arrival home at the weekend Inside the Sheepskin understands that Sir Alex immediately withdrew to his study where he has remained now for two nights, not even leaving to visit the bathroom. His wife has made repeated requests to speak to him – even trying to tempt him out of the room with his favourite boiled egg and soldiers – but he has bluntly ignored all efforts at contact. He issued a statement yesterday morning, which was delivered to his wife on the back of a water bill that had been slipped underneath his study door. It is believed to have included the word “cheats” two hundred and thirty seven times. It is thought that Sir Alex will not speak to his wife or any family members again until the FA give Manchester United an additional 20 points in the Premier League for being Manchester United. Sources close to the club have insisted that everything is fine and that assistant manager Mike Phelan will be fulfilling any marital duties that sir Alex cannot fill during his self-imposed communication ban. Phelan was seen leaving the Ferguson residence this morning with a shopping list and some dry cleaning.